Brim, 3" Felt Spot clean Made in Italy. Men Accessories - Cold Weather Accessories. Barbisio. Color: Black. Size: 58. Natural straw fedora featuring signature logo trim Brim, 2" Straw Spot clean Made in Italy. Men Accessories - Cold Weather Accessories. Barbisio. Color: Navy. Size: 59 (L). 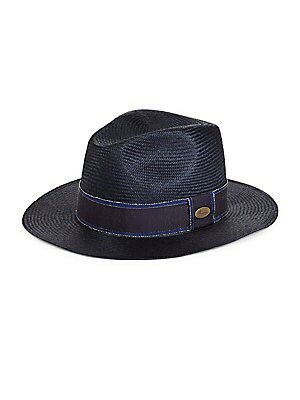 Natural straw fedora featuring signature logo trim Brim, 2" Straw Spot clean Made in Italy. Men Accessories - Cold Weather Accessories. Barbisio. Color: Navy. Size: 60 (XL). 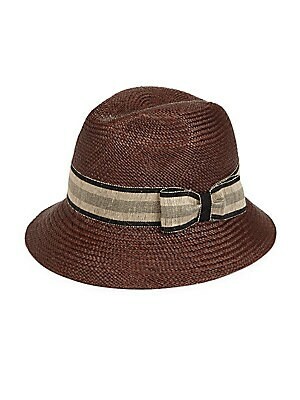 Woven panama hat updated with a contrast bow accent Brim, about 2" Straw Spot clean Made in Italy. Men Accessories - Cold Weather Accessories. Barbisio. Color: Brown. Size: 58 (M). Woven panama hat updated with a contrast bow accent Brim, about 2" Straw Spot clean Made in Italy. Men Accessories - Cold Weather Accessories. Barbisio. Color: Brown. Size: 59 (L). 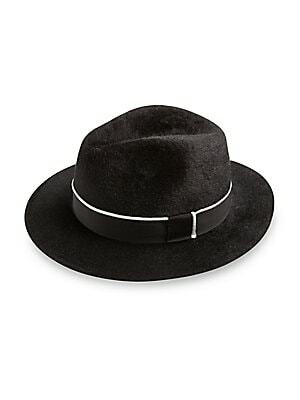 Woven panama hat updated with a contrast bow accent Brim, about 2" Straw Spot clean Made in Italy. Men Accessories - Cold Weather Accessories. Barbisio. Color: Brown. Size: 60 (XL).